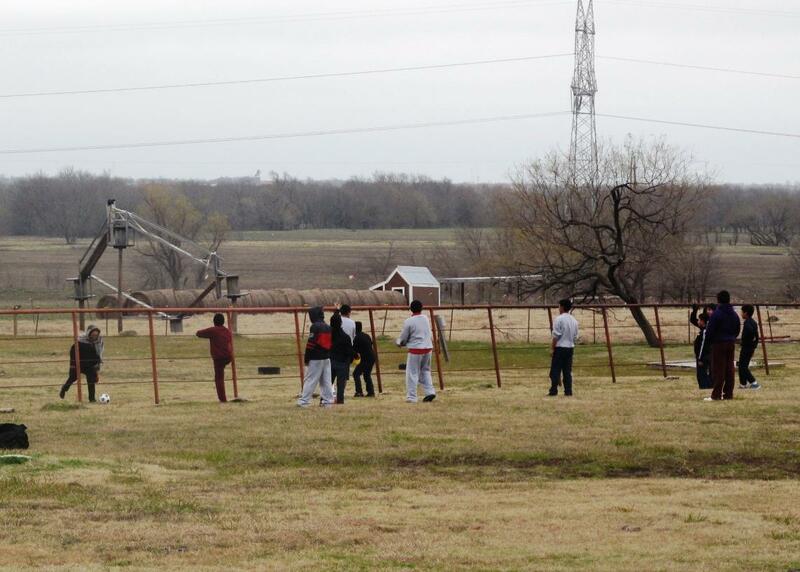 Teenage boys play ball at Sabine Creek Ranch. Nearly 180 unaccompanied immigrant children arrived at the camp over the weekend. 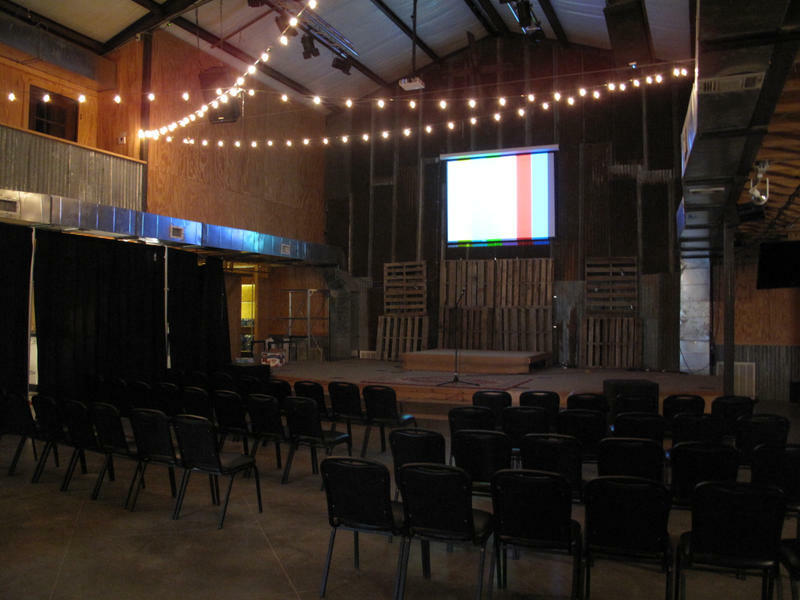 The worship room at Sabine Creek Ranch is also an activity room, where children can watch movies. Another group of unaccompanied children from Central America arrived in North Texas over the weekend. The 179 kids -- mostly boys ages 12 to 17 -- are staying at Sabine Creek Ranch in Rockwall County. The U.S. Department of Health and Human Services allowed media to tour the facilities. It was an unseasonably warm December day -- 70 degrees and sunny. There was a herd of cows in the distance, grazing in a wide stretch of open pasture. Underneath a clear blue sky, dozens of teenage boys played. Some were throwing around a basketball, while another group kicked a soccer ball on a large field. It looked a lot like summer camp -- except Christmas was just a few days away. Sarah Walker, who co-owns and co-founded Sabine Creek with her husband Eddie, says they’re planning a Christmas celebration they believe these kids deserve. There will be a special Christmas Eve dinner with tamales, followed by an evening of caroling. And on Christmas Day, they’ll eat tenderloins and exchange gifts donated to them by local residents. The celebration is just one way the staff is trying to make the kids comfortable. All 179 of them recently crossed the Texas-Mexico border alone. Officials with Health and Human Services’ Office of Refugee Resettlement say they left their homes in Honduras, El Salvador, Guatemala and elsewhere in Central America to flee gang violence and poverty. Sarah Walker says little gestures make all the difference to the children -- many of whom have experienced considerable trauma. “We try to make sure we’re smiling and being warm and welcoming toward them so they feel like this is a safe and happy place for them to be,” she said. 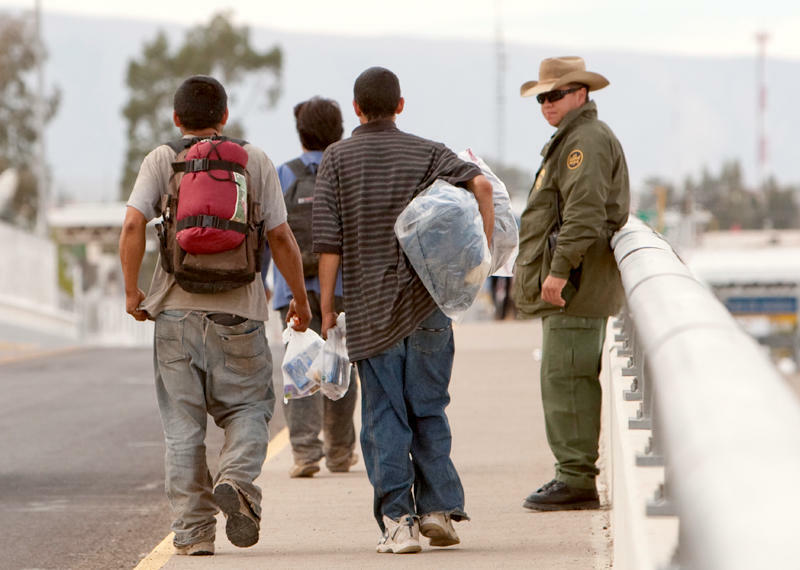 Border patrol agents have seen more unaccompanied children coming across the border this fall than ever before. In just two months, more than 10,000 kids have crossed into Texas -- twice as many as there were in the same period last year. Sabine Creek Ranch has reserved 200 beds for children and 100 for support staff. Here is a shot of their activity centers and dorm rooms. That's why Texas opened up Sabine Creek Ranch, which joins Lakeview Camp and Retreat Center in Ellis County as the second North Texas location to open its doors to unaccompanied kids. 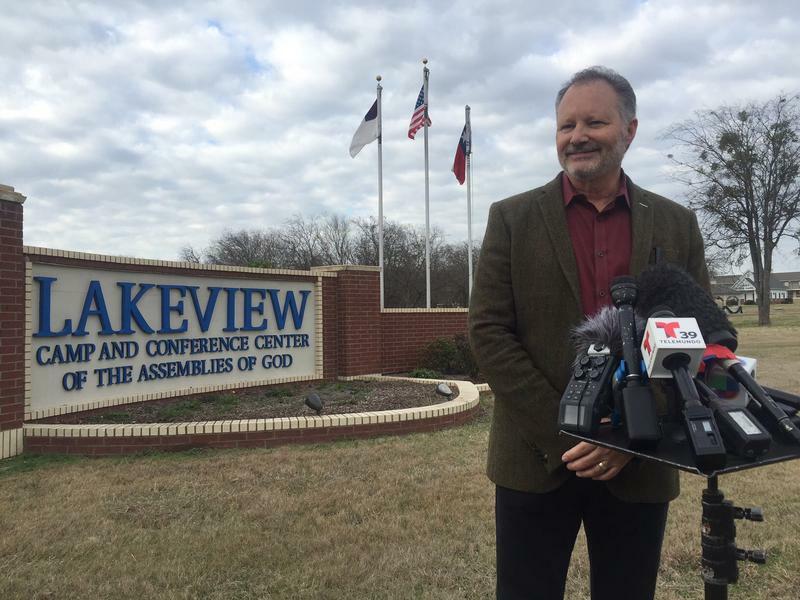 Just like the 500 children at Lakeview, the kids at Sabine Creek will stay for 21 days, while federal officials attempt to connect them with family already living in the U.S. If relatives ultimately can’t be found, a spokesperson for the health and human services department said the children will be entered into the foster care system, and their cases will be handled by its refugee resettlement office. There are 136 boys and 43 girls at Sabine Creek, sleeping in cabins with wood-paneled walls. In the girls' dorm, bunk beds fill the room, and an air conditioning unit rumbles on the back wall -- but there’s still plenty of space to move and play. The federal government has allocated $428 a day per child -- $60 will go directly to Sabine Creek to cover three hot meals, two snacks, lodging and activities. The rest pays for staff, security, transportation, healthcare and other services. Girls 12 and up get pregnancy tests and all children 12 and up get tested for HIV. They’re also checked for lice and scabies before being allowed in their rooms. The health staff said all the kids at Sabine Creek are healthy and clean. Eddie Walker, Sabine Creek co-owner and co-founder, said many camps like his work with emergency response groups like the Red Cross to take in displaced families after natural disasters. Ten years ago, Sabine Creek hosted refugees after Hurricane Katrina. To the Walkers, caring for those in need, especially immigrant kids, was a no brainer. Eddie and Sarah Walker hope to hear from the kids again someday. He said the local community has also been very supportive, and he’s proud of the example they’re setting. “I was telling somebody the other day, I was reading some story Jesus told about people [who] were standing before God, and he said, ‘I was hungry, I was thirsty and you welcomed me,'" Walker said. "If you get a call and kids need a place to stay and they need food and shelter, and you can help, you do that." The Walkers said they understand the concerns some people have about the security of these camps, but they see helping the kids as a privilege. They hope to get letters from them many years from now with stories about their lives in America. More unaccompanied children are expected to arrive in North Texas at the end of the month. They’ll stay at Camp Arrowhead in Somervell County near Glen Rose. To see more pictures of Sabine Creek Ranch, click here. The first group of immigrant children arrived in Ellis County Friday afternoon. 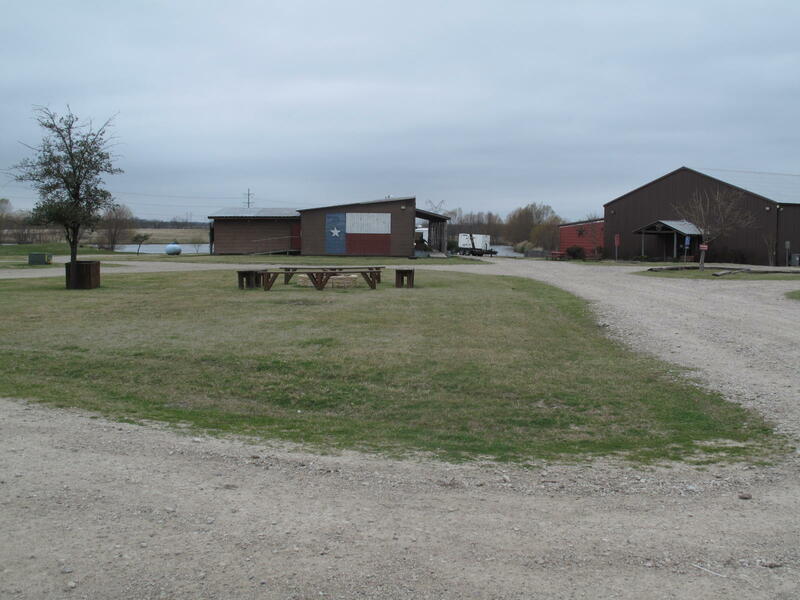 Hundreds of kids will stay at the Lakeview Camp and Retreat Center in between Maypearl and Waxahachie. 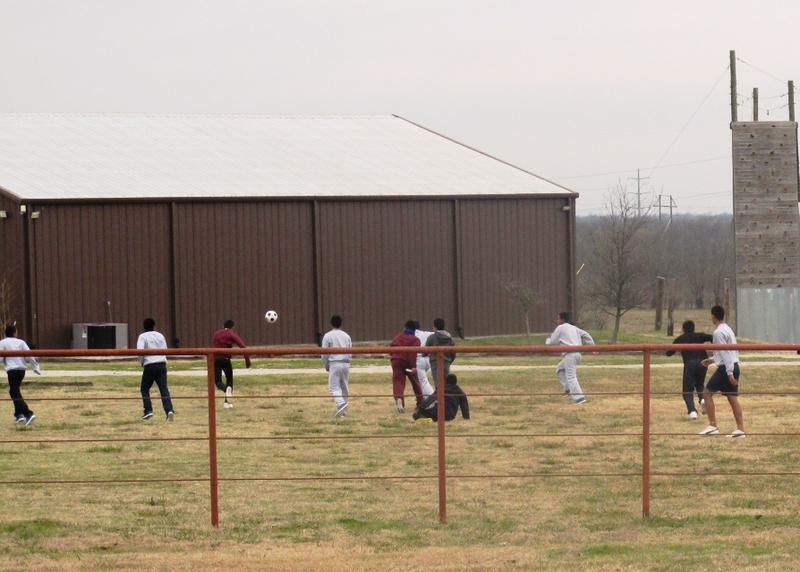 200 undocumented children will be arriving in Rockwall County over the next two days. The Rockwall Herald-Banner reports a facility at Sabine Creek Ranch will serve as a temporary home for the Central American children, who are between 12 and 18 years old. Since last October, more than 57,000 kids from Central America have crossed the U.S.-Mexico border. Many of these immigrant children are living in North Texas. Brayan Arce is one of them. He's from Honduras, but he says that living there has become too dangerous, especially for kids. 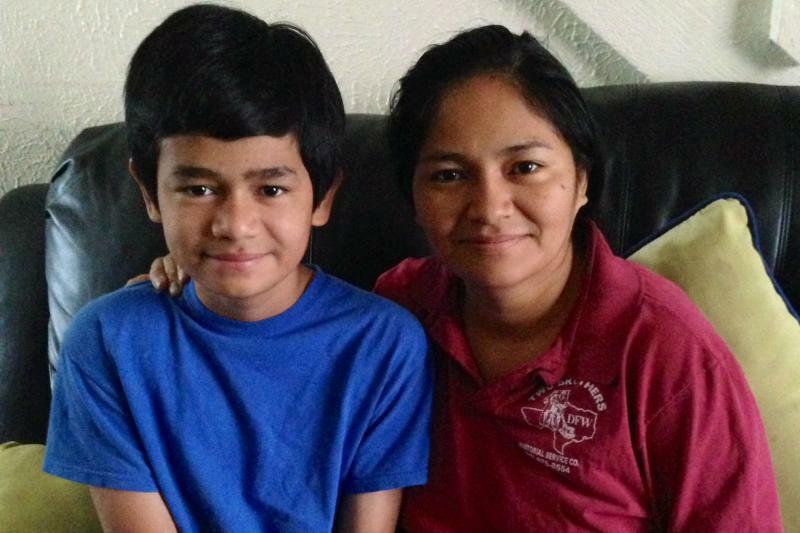 Brayan, who's 14, shares his story of how he came to join his mom in Dallas. He hadn't seen her in 11 years.